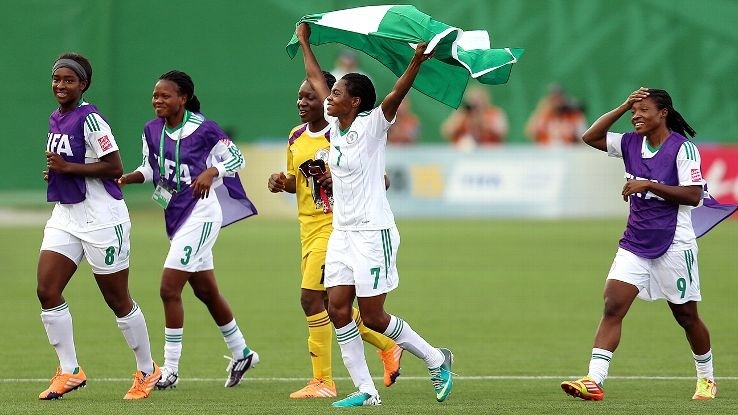 The Falconets won 3-0 in the first leg played at the Samuel Ogbemudia stadium in Benin City, with Rasheedat Ajibade scoring a brace and Lilian Tule adding a goal. Falconets coach Chris Danjuma has said Nigeria will go for more goals when they clash with Tanzania in the 2018 FIFA U20 Women’s World Cup qualifying first round, second leg match in Dar es Salaam on Sunday. Danjuma said his side will attack in Dar es Salam as they aim to score more goals. “We won the first leg 3-0 but that does not mean we will rest on our oars. We should have won more comfortably but threw away a number of chances. “The truth is we have to be more clinical in front of goal. After the first leg, we have worked on some areas that we realized needed serious attention, and I have confidence that we will get a handsome result in Dar es Salaam. A contingent of 18 players and eight technical and backroom staff, led by NFF Executive Committee member, Babagana Kalli, departed from the Nnamdi Azikiwe International Airport, Abuja on Thursday aboard an Ethiopian Airline flight.